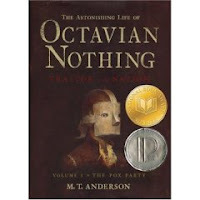 Octavian Nothing: the first in a young adult series set in 1770's boston. i love a good young adult series, personally, plus i'm always on the lookout for books that might interest my students. i've been enjoying it, but it may be a difficult read for my students because of the old-style language. Glimpse of Jesus: i always love Brenning Manning. he has a way of speaking grace and truth right to my heart. i chose this book because i am studying the life of Jesus in Luke with our housegroup and felt this would be a good compliment. 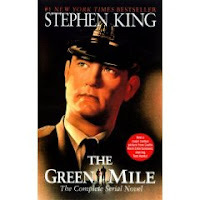 The Green Mile: yes it's Stephen King, but, no, it is not your typical horror story. if you saw the movie you understand. i'm reading this along with my sophomores as it's part of the English 10 curriculum. anytime you can read a book with an accent, you're in for a good time, be it southern, british, or any other. yes, i read books out loud in accents. i really mastered my british accent with the Harry Potter series! by the way: you would use a southern accent for the Green Mile. Ragamuffin Gospel: i am pretty much always reading this book, so don't expect me to list it every time, but it is worthy of mention. i usually get through it and start immediately back at the beginning. each time i highlight with different colors so that i can remember what was significant to me more recently. it has become a veritable rainbow. 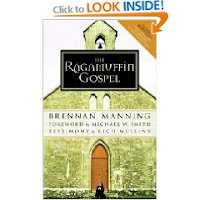 i always need to hear what brennan has to say to the soul who is battered and beaten up and in need of grace. and conservatives are concerned about Obama's big-spending, higher taxes government?!?! if you are a regular reader and you do not want to hear my liberal rant for a few lines, PLEASE DO NOT READ ON! i have refrained from politics so far because it can be so touchy. this is just a little sarcastic humor (but also a bit serious) directed at mccain. i do not want to offend anyone, but this is MY blog which is kind of like an extension of my brain, so there's been fair warning. i have a vague idea of seasonal produce, but wanted to learn more about local, seasonal fruits and veggies. so i googled and found a very helpful website where you can select the state and the season and it comes up with a list of produce from the area and from surrounding states. did you know that buying local foods (or as local as possible) can help keep the cost of food lower? did you also know that with the recent inflation, fresh produce is the one section of the grocery store to be least affected? according to this article i read from the k-state ag department, the less your food has to travel and the more we encourage the market toward local foods, the cheaper they will be! yay! thrifty AND green! anyway, here's the link to the website i found. by the way, if anyone knows what a salsify and a kohlrabi are, let me know! apparently they are types of produce.